Technology in classrooms is nothing new. But the exponential growth and importance of digital devices – especially in the past decade – has made it a much more common part of the learning experience in India. As technology has progressed in leaps and bounds, the curriculum, schools and teachers have all had to keep pace. 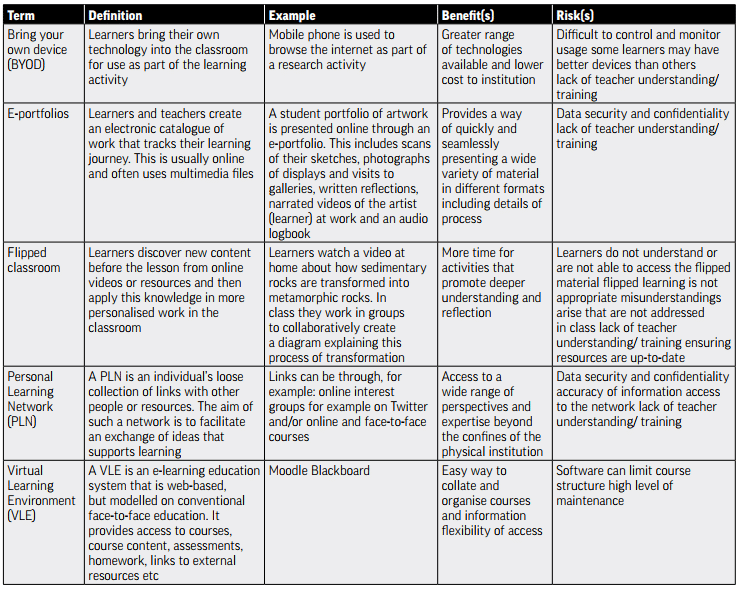 In the recent years, reference to ‘Digital Technology in the Classroom’ (DTC) can be taken to mean digital processing systems that encourage active learning, knowledge construction, inquiry, and exploration on the part of the learners, and which allow for remote communication as well as data sharing to take place between teachers and/or learners in different physical classroom locations. Students also use apps to support their learning – for example, to track their favourite insects, learn more about them and share the information online with classmates as part of a science project. For example, learners working on a Maths modelling programme can start to have conversations about what they see on a computer screen without having to rely on terminology that they may not yet have (look at ‘that’, what happens if you do ‘this’?). The teacher can then add the appropriate language into the conversation as the project develops. Emancipatory practice is about something in which an individual student’s ideas go beyond the learning prescribed by the teacher/syllabus as they draw on knowledge gained outside formal education to construct understanding. For example, in music lessons’ learners can use their own knowledge and expertise of playing instruments or using technology to construct their own recording environments (perhaps using their mobile phone). They can then bring in ideas that they have created at home or in instrumental music lessons. Digital technology can often also be exciting for learners and offers a potentially more engaging alternative. At the same time, it is important to be aware that some learners may be less confident in learning with digital technologies and steps need to be taken to ensure equality, and safety, of access. It is also imperative that teachers make the best use of technology in the classroom by developing their awareness of a range of digital technologies and considering carefully both how and why they can be used to support students’ learning. Technology can be used to both enhance and transform the learning process, but the tools which are being substituted and augmented by technology should be chosen carefully so that they’re not an afterthought: they must be integral to the task. Infusing digital technology in classrooms aims to prepare students for the future workforce – for jobs that will likely involve technologies and require the types of skills that are being taught alongside how the technology is used. For example, instead of writing an essay by hand, learners type it on a computer and teachers add comments in that document before emailing it back to the learner. To further transform this process, the learner could be asked to upload the essay to a learning portal or intranet platform for open learning so that other learners can comment on the essay. Taking this a step further still, a teacher could then set a task based on that essay topic, which asks learners to develop digital responses to the same topic – perhaps in image, video or audio format. DTC fosters active learning; it enhances understanding and helps learners to excel both in the classroom and the exam hall. Infusing digital technology in classrooms aims to prepare students for the future workforce – for jobs that will likely involve technologies and require the types of skills that are being taught alongside how the technology is used. Whether problem solving, thinking critically or creatively, or collaborating – these are all skills that the 21st century increasingly demands to succeed in life. By embracing DTC, teachers are setting their learners on the right path for getting in to college and university, and getting on in life.